How likely is to experience a sting that is 30 times more painful than a bee sting? can you withstand with such an extreme pain? some of the insects can even defend the large animals with their extremely painful stings. Here the list of 10 most painful insect stings in the world. The sweat bee is a general name given to various bees that are attracted to the salts in human perspiration. It is one of the most common bees in the world. 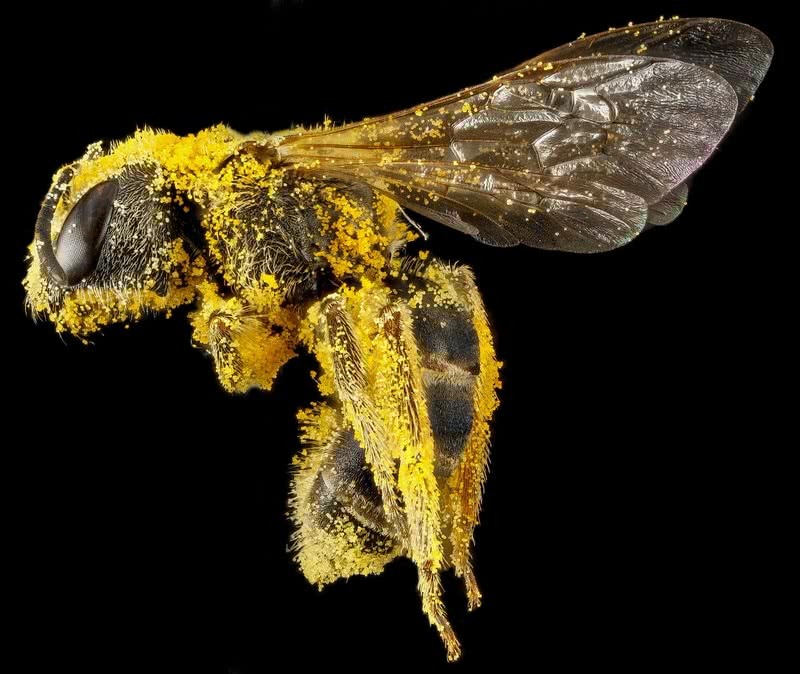 The sweat bees are found in large numbers in Northern parts of U.S, about 1000 species in total. Sweat bees only reach up to a length between 3-10 mm. The sweet bees sting if you try to remove them from your skin. Only the female sweat bee sting, the male bee used to pinch in disturbed. The sting from a female sweat bee will cause a little bit of pain and burning sensation. Severe itching and formation of papule are other common symptoms of sweat bee sting. Immediate medical attention is must for the victim who shows extreme swelling. Household ammonia and apple cider vinegar is very useful to reduce pain and burning effect caused by sweat bee sting. Use baking soda to relieve itching. Anyone who ever been stung by fire ants never goes close to them again. Because the fire ant sting can cause sharp pain, extreme swelling and difficulty in breathing. The fire ants found in large numbers throughout the rainforests of Central and South America. They live in colonies in mounds, decayed woods or under rocks. Fire ants are very aggressive species. They will attack anything that disturbed them. Once disturbed the fire ants will quickly climb over the invader and start insert the stinger in the skin to inject venom. They will attack in groups and sting repeatedly. 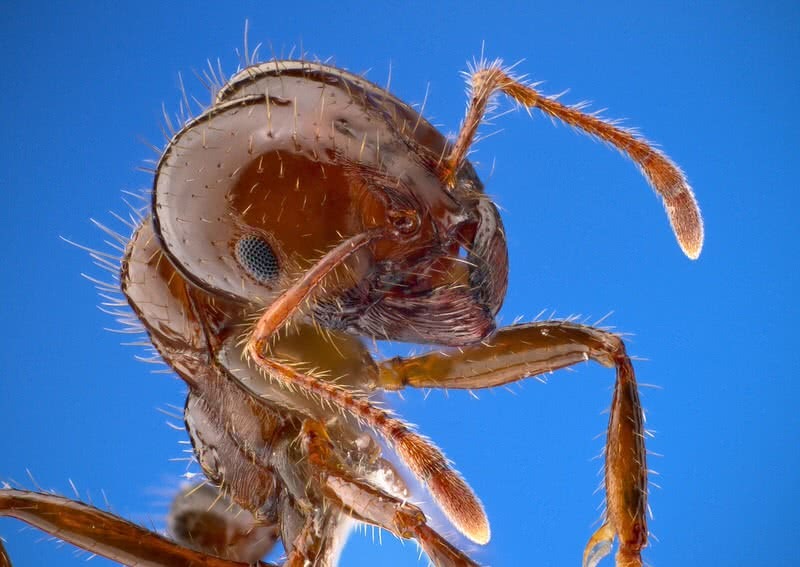 The venom of fire ants contains oily aliphatic alkaloids and piperidine toxin which are toxic to the skin. The group attack from fire ants can cause severe medical conditions, including sharp pain, intense itching, , swelling, vomiting, rapid heart rate, difficulty in breathing and formation of white pustules. The victim should seek immediate medical attention. Wash the bite area using water and soap to prevent an infection. Use hydrocortisone cream to reduce pain and itching. Place ice in the affected area to prevent damage to the skin. The bullhorn acacia ants are well known for their symbiotic relationship with the bullhorn acacia plant. This aggressive species of ants live in bullhorn acacia plants throughout Central America. The relation between acacia ants and their host plants is beneficial to both. The bullhorn acacia plants provide nesting sites and food for the ants. It is the unpleasant smell release from the plant that attract acacia ants to start the great symbiotic mutualism. The acacia ants will make their home within the enlarged hollow thorns of the host plants. They will also get enough protein and nectar from the plant. 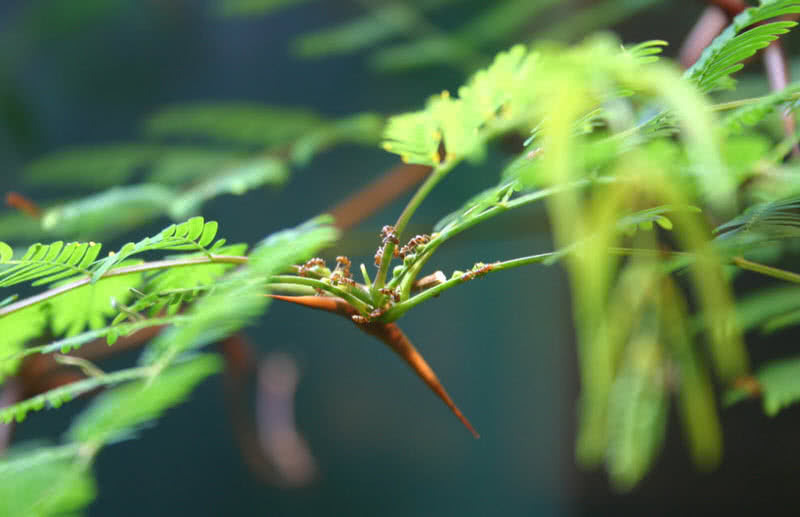 The acacia ants provide defense for the host plant in return for the nesting site and food. The acacia ants are very aggressive and they will attack the insects, herbivorous and even humans that come in contact with the plant. The acacia ants will sting the invaders for a long time and it is painful. Avoiding contact with bullhorn acacia plants is the best choice you can take to avoid the painful sting. 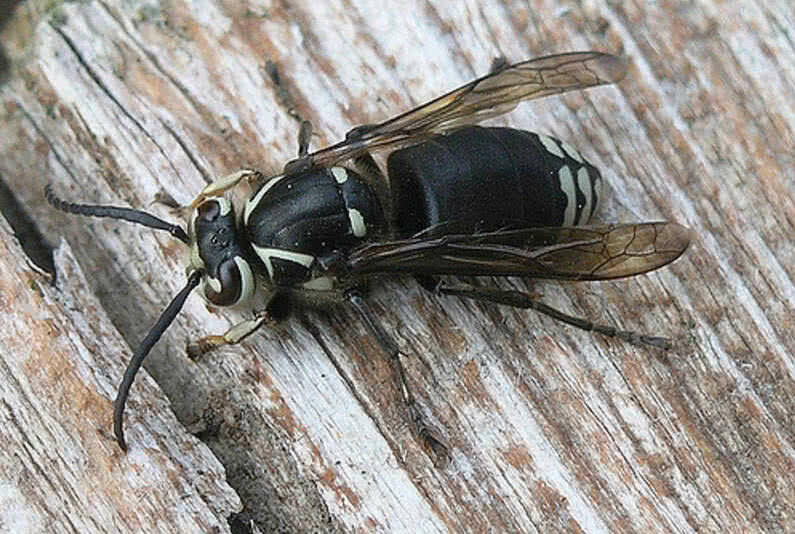 The bald-faced hornet is a stinging insect that found throughout North America. Actually the bald-faced hornets are not hornets. They called so because of their large size, can reach up to a size between 13-20 mm. The bald-faced hornets live in colonies that contain 200-400 members. They built large nest in vegetation and trees in forest areas. The bald-faced hornets are very aggressive insects. They will attack anything that invades their nesting site. They have very smooth singers and will sting the invaders over and over again. Their sting also contains venom and it causes sharp pain. The bald-faced hornet sting can result in pain, inflammation, redness, intense itching and burning sensation. To protect the nest they will also spray the venom to the eyes of the intruder. It may lead to temporary blindness of the intruder. Immediate medical care is must for victims who experienced multiple stings. Wash the bite area with antibacterial soap. Press ice against the affected area to reduce the pain. Apply baking soda or vinegar in the bite area to reduce redness, itching and inflammation. 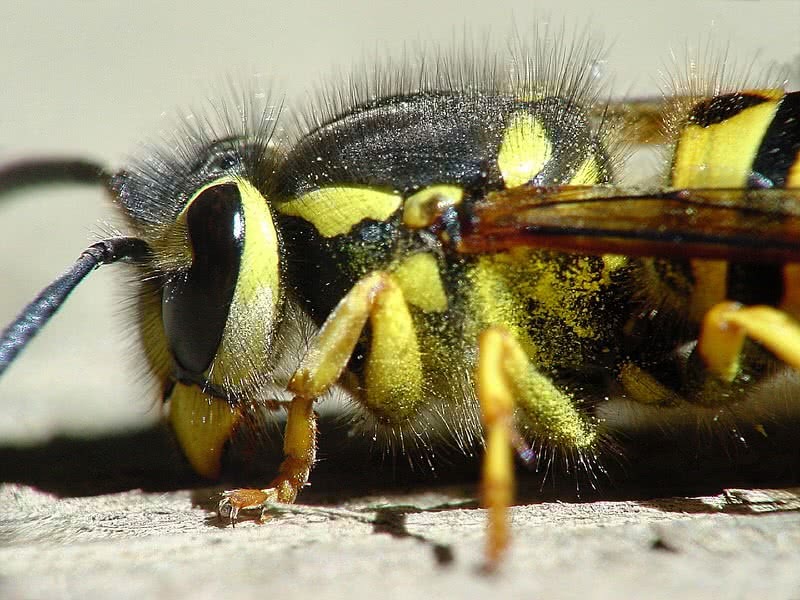 The yellow jacket is a dangerous species of wasp that found throughout the world. They are named after their distinctive yellow and black markings. They live in colonies in large paper nests that built in trees, dense bush or undergrounds. A yellow jacket nest contains up to 4000 members. The yellow jackets are a very aggressive type of wasps. They will attack together if they feel threatened. They will sting again and again. The group attack can result in intense pain and severe health conditions, including difficulty in breathing, swelling, tightness in chest, slurred speech, weakness and fainting. Seek immediate medical attention for serious cases. Hold ice on the bite area to reduce swelling. Use Epsom salt to reduce pain and itching. Applying vinegar in the affected area can also reduce itching. 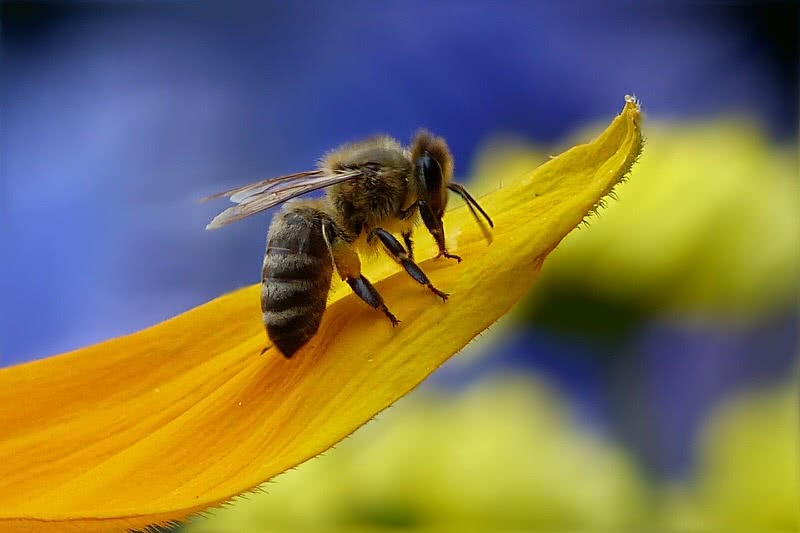 Honey bees are the only insect in the world that produces food eaten by humans. They have long been providing us with honey and was. The honey bees very social and live in colonies. But they sting if disturbed. They have a smooth stinger at their abdomen. The honey bee sting is very painful. The symptoms of a honey bee sting can vary between the victims. It depends on the number of stings experienced by them. Interestingly the honey bees will die after sting the intruder. It happens when they try to leave behind the stinger after the attack. In fact the stinger of a honey bee is attacked to its digestive tract and nerves. So when they try to cut off the stinger from the skin of the victim, they will also lose the digestive tract and nerves and dies eventually. But even after the death of the honey the muscular valves continues to pump toxin into the wound and it will lead to severe health conditions. The honey bees also release pheromones to alarm other bees in the colony and the result can be too dangerous. Normally an average adult human could withstand hundreds of honeybee stings. But the multiple stings from honey bees can cause death to people with poor heart conditions, especially to old people. Vomiting, redness, swelling, nausea, diarrhea, and dizziness are the most common symptoms caused by honey bee sting. Immediately remove the stinger after you stung by the honey bee. Seek immediate medical attention if you experience severe health conditions. Hold ice on the affected area to reduce inflammation. Apply baking soda to avoid an infection. Apply hydrocortisone cream to relieve symptoms. The red harvester ants are aggressive species of ants that are native to the Southwest U.S. The red harvester ants look like fire ants. But they are not related to any species of fire ant. They live in colonies and built nest underground. 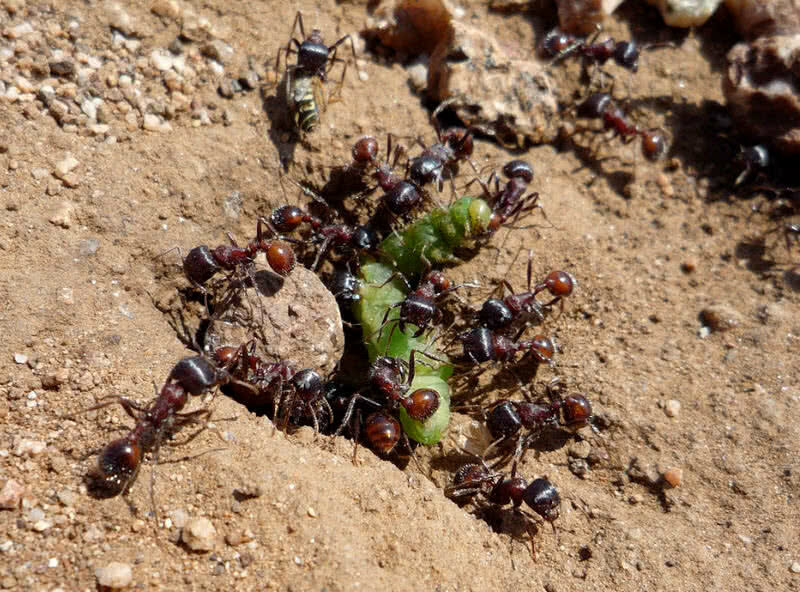 The red harvest ants will attack any animals if they feel threatened. The red harvester ants will bite the intruders viciously. They are also poisonous. They inject potent venom into the body of intruder and it can be very painful. The venom of red harvest ants can be allergic to some people. 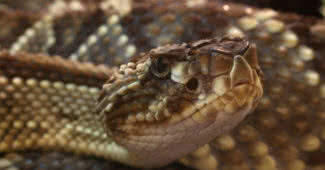 Their venom can also cause severe pain, numbness, intense itching, weakness and swelling. Seek medical attention if the symptoms present for a long time. Apply baking soda on the affected area to reduce inflammation. Use calamine lotion to relieve burning and itching. The paper wasps are named after their beautiful nests that look like made from paper. They built nests on roofs and door frames of the buildings. But paper wasps are not so aggressive. They only attack if their nests are disturbed. The presence of paper wasp nests in human inhabitants can be very dangerous. The paper wasp sting is extremely painful and can be allergic to some people. 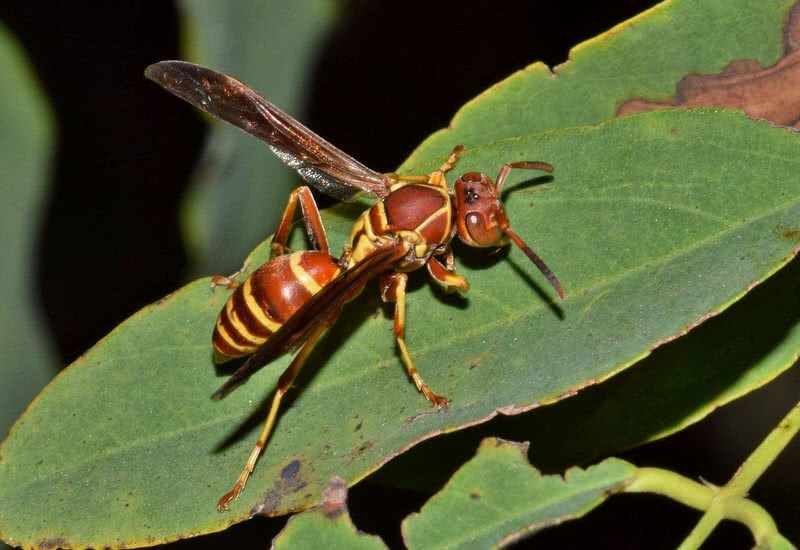 If a paper wasp feels threatened it will immediately release pheromones to alarm other members of the colony. The result could be worse than you expect. The paper wasps can sting multiple times and can cause very serious health problems, even death of the victim. Intense pain, itching, swelling, allergic reactions and redness are the common symptoms found after stung by paper wasps. Immediate medical attention is must for victims who are allergic to paper wasp sting. Immunotherapy is a right choice for allergic reactions. Hold ice on the sting area to relieve pain. 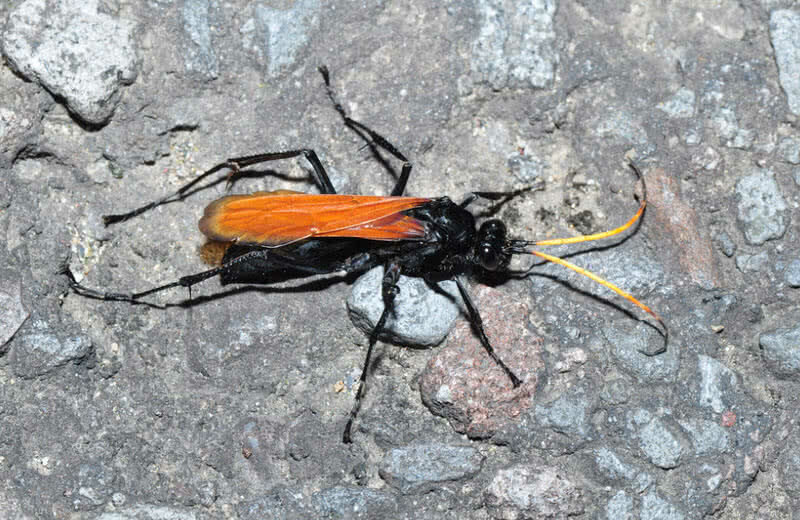 The sting of tarantula hawk is the second most painful insect sting in the world. They can be found in rainforest regions of Southeast Asia, the Americas and Africa. The tarantula hawks are known for delivering most painful sting than any other insects found in North America. It is also the official state insect of U.S state of New Mexico. They stinger of tarantula hawks can be 1/3 inch in length. They only attack on provocation. The pain of a tarantula hawk is unbearable and will last for 3-4 minutes. The sting can cause weakness and fainting. The best thing you can do is stay away from the nests of tarantula hawks. The bullet ant sting is the worst pain known to humans. As the name indicates the sting from bullet ants are as painful as a gunshot. The extreme pain will also last for 24 hours. The deadly bullet ants are also top among the largest ants in the world. They can reach up to a maximum length of 1.2 inches. 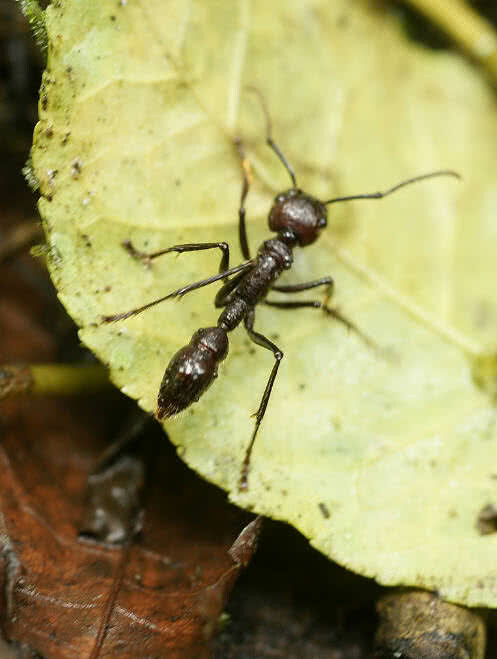 The bullet ants are mainly found in rainforests of Nicaragua and Paraguay. The bullet ants build nests at the base of trees. Most of the time they forage on the forest floor. The bullet ants only attack humans when they feel threatened. They have long sharp stinger and the sting is 30 times more painful than a bee sting. Unlike honey bees the deadly bullet ants will sting again and again. The special peneratoxin compound contain with the venom of bullet ant is very powerful and it affects the central nervous system of the victim. It can result in shaking and temporary paralysis of the limbs. The victims who experienced repeated bullet ant stings must seek immediate medical attention. Apply baking soda on the bite area to reduce swelling and itching. Hold ices on the bite area to reduce pain.